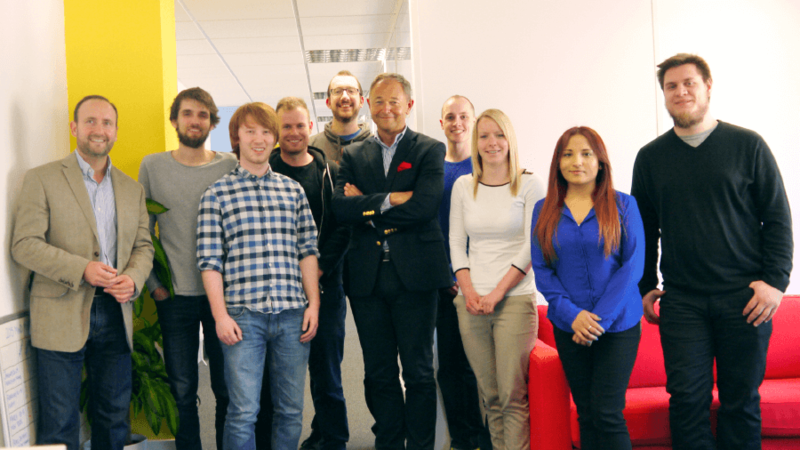 Innovative Welsh firm OpenGenius has secured funding of £1.1m. With the backing of an equity investment package of £500,000 from the Development Bank of Wales and a further £600,000 from private investors, OpenGenius has its sights on global expansion and stock market flotation. Cardiff-based OpenGenius, which develops high-tech software for innovators and creative teams, has enjoyed increasing momentum over the past few years. Task management app, DropTask, has attracted a worldwide customer base, with teams and individuals at Harvard University, Nike, Ralph Lauren, Coca-Cola and McDonald’s, among others, all joining its client list. Whilst iMindMap is an all-in-one Mind Mapping and visual thinking tool – the software is used for creative ideation by a large number of varied industries; ranging from education to finance. In 2017, OpenGenius became the first Welsh company to be selected for the international ‘accelerator’ training and networking programme (ELITE) at the London Stock Exchange. A scheme which has helped them develop their scalable business model as well as building new strategic partnerships, increasing sales and raising awareness of their brand and pioneering products. The DropTask app brings structure and transparency to every day work by allowing users to assign tasks, display progress, and increase productivity through enhanced collaboration. iMindMap uses brainstorming techniques and an intuitive user interface to facilitate visual and creative thinking; it has been taken up in industries ranging from education to finance. The company’s innovative approach extends beyond its products. Its headquarters lie in Tec Marina, a creative workplace in Penarth. The unit (‘Wales’s answer to Silicon Valley’) was built specifically for OpenGenius to foster an atmosphere of open thinking and entrepreneurship. Alexander Leigh, a Technology Venture Investments Executive with the Development Bank of Wales who led the transaction said: “This £1.1m investment will provide OpenGenius with the capital it needs to further refine its innovative SAAS platform and accelerate its global expansion plans. “As lead investor the development bank recognises the importance of the co-investment from sophisticated private investors who bring considerable sector experience to the company. This latest equity investment from the development bank follows a number of recent venture deals focussed on the rapidly expanding software sector within Wales. OpenGenius joins a cohort of the very best Wales based software companies within the Development Bank’s Tech Venture investment portfolio. This investment was funded by the Wales Business Fund which is part-funded by the ERDF, through the Welsh Government. It was created specifically to support businesses with fewer than 250 employees based in Wales and those willing to move here. The DropTask app is a visual tool that helps teams and individuals manage tasks and projects. It uses a variety of ‘views’ and visual displays to help track the progress of ongoing work, it offers clear visualisation of task ownership and makes timely, in-context team discussion easy without needing to resort to email resulting in flooded inboxes. iMindMap has successfully digitised mind maps, a technique also known as brainstorming or spider diagrams. The software fosters creativity, allows changes to be easily made and means that multiple teams across the world can share ideas. In a world where innovation is the lifeblood of every prosperous organisation, iMindMap has positioned itself as an indispensable tool. (Pictured from left to right: Alexander Leigh (Development Bank Wales, Technology Venture Investments Executive), Mark Bate (OpenGenius, CFO), Chris Griffiths (OpenGenius, CEO), Darren Rees (OpenGenius, CTO), Gaile Griffiths (OpenGenius, Operations Director). We’re so excited to announce that our highly anticipated Mind Mapping app for children, iMindMap Kids, is out now! Available now on the iPad App Store, iMindMap Kids is a fun and unique Mind Mapping tool, aimed specifically towards children in early school education. iMindMap Kids welcomes children into the creative world of Mind Mapping, with a child-friendly and colourful design. Features within the app include branch art, draw tool, fun sound effects, snapshot camera, image gallery and a free-hand wiggle branch. Mind Mapping has been proven to develop literacy, creativity and problem-solving skills in children. Stemming from our original tool, iMindMap, iMindMap Kids introduces children of the digital age to Mind Mapping in an easily accessible, fun and engaging app. Introduce your child to the wonderful world of Mind Mapping today. Click below to download the iMindMap Kids iPad app now for just £1.99.